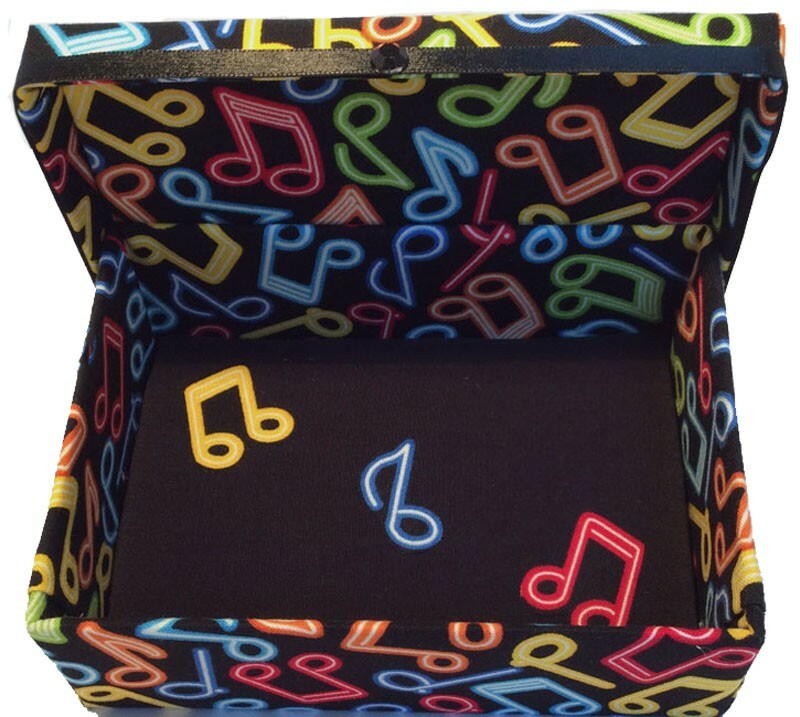 Multi-colored musical notes seem to glow brightly on this special gift box. Black Ribbon and Black Crystal accent the lip of the lid and more neon notes against a black background finish the padded interior bottom. 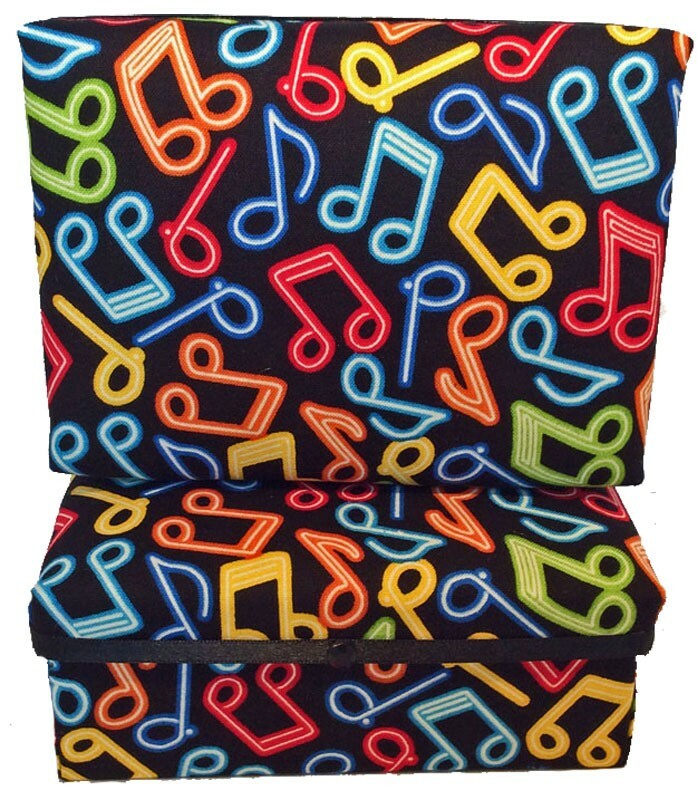 The Neon Musical Notes Gift is certain to be a hit with anyone who enjoys music. Comes in one size only - 5.25"x 3.75"x 3". A terrific gift for musicians, music teachers, jazz artists and singers. The Neon Music Notes Gift Box is the perfect size to hold jewelry, spare change, car keys, guitar picks, trinkets and small keepsake items. Looks great on dressers, tables, and desks in music rooms and atop pianos!